The Ford F-150 was for a long time, America’s best selling pickup. Unlike the actual generation which can be considered both a life style vehicle and a work partner, the older Ford F-150 models were designed mainly as utilitarian work horses. The 2004 generation was sold until 2008 and compared to the previous version it was built on an all new platform which gave it better driving dynamics and off road abilities. 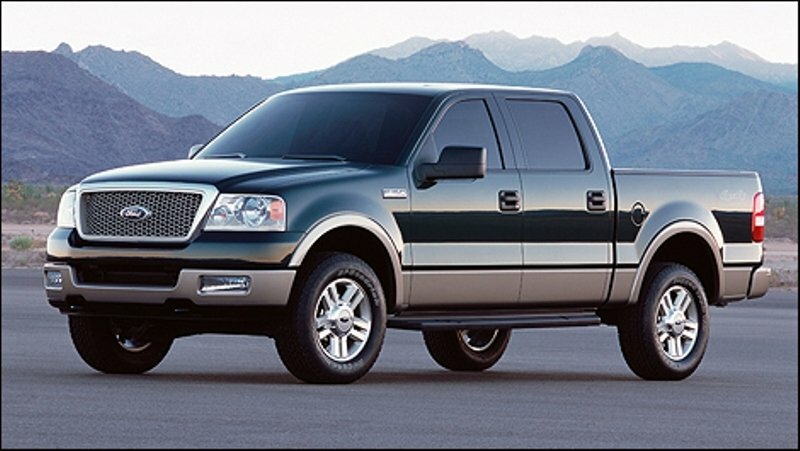 Apart from the upgraded underpinnings, the 2004 model had also received a set of exterior modifications the most obvious, being the adoption of the stepped driver’s window from the Super Duty trucks and the completely new front fascia. The 2004 Ford F-150 was available in regular-, extended-, and crew-cab body styles. All versions have four doors and are 6 inches longer and 4 inches wider than their predecessors. 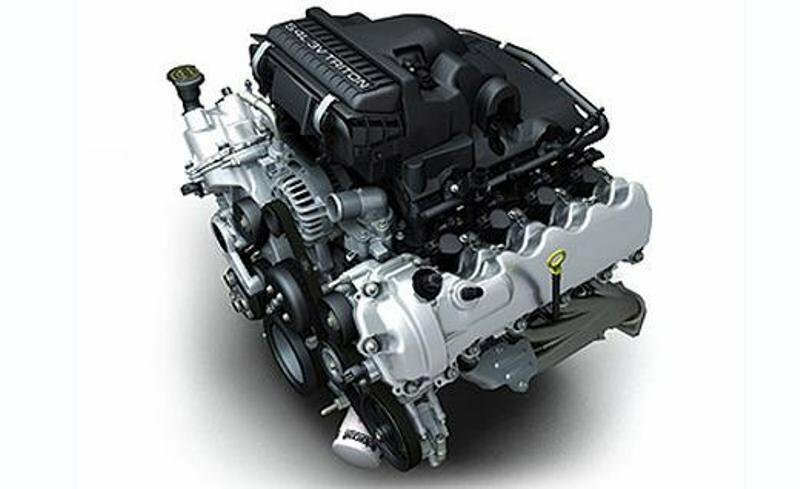 The powertrain lineup includes two engine choices, namely a 4.6 liter and a 5.4 liter, both mated on an automatic transmission. The previous Ford F-150 was sold between 1997-2004 and was fairly successful. Though it was highly criticized for its soft lines and curved shapes which made it look less manly. 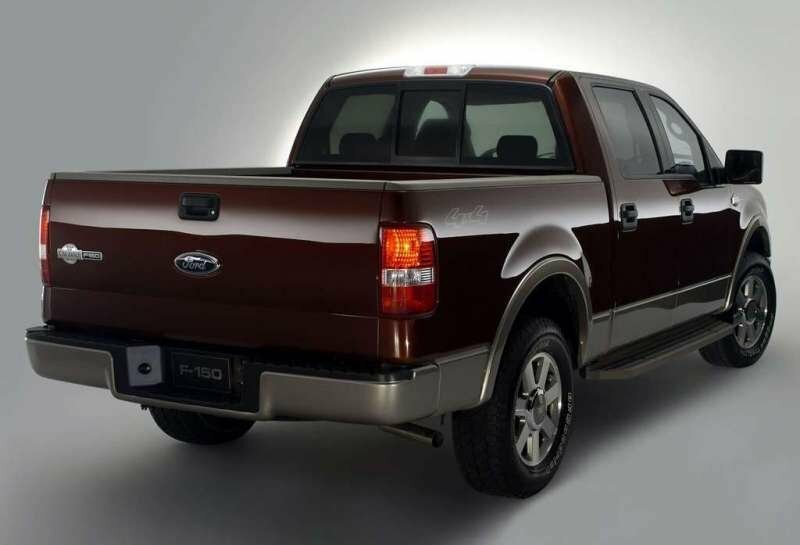 Luckily, Ford learned its lesson and for 2004 has forged a totally new sheet-metal for its F-150. The new look was more imposing and better suited for the utilitarian nature of the vehicle. The front end looked pretty similar with the Expedition model, but the grille was bigger and more aggressive. The new multireflector lights were pretty simple, but they’ve coped great with the rest of the body. Overall, the 2004 F-150 looks pretty clean and the bumper comes with a simple design, being fitted with two rectangular fog lamps and a pretty small air intake. To break up the monotony of its conventional style, Ford added two sporty creases to the hood which converge towards the grille. Moreover, the front of the hood was raised approximately 3 inches higher than its predecessor. It’s true that this tweak offers a more aggressive styling, but it also affects the front road visibility. Regular-cab, SuperCab (extended-cab) and SuperCrew body (crew-cab) styles were available. The Regular cabs and SuperCabs, were offered with rearward-swinging access doors, while the SuperCrew’s had a full forward-opening doors configuration. The crew cabs have a 5.5-ft-long cargo bed where the other models load bed measure 5.5, 6.5, and 8 ft. Thanks to the bigger exterior dimensions the 2004 model comes with a roomier cabin than its predecessor. The interior design was pretty attractive being characterized by robust shapes and straight lines. To make the cabin as solid as possible, Ford selected only hard textured plastics so don’t expect to any soft touch surfaces. The build quality was pretty solid and everything inside seem well put together. We admit that we like the interior design as it can be considered nice even if we’ll judge it by today’s standards. Though, it’s not all sunshine and rainbows, as the light-tan dashboard reflected too much sunlight onto the windshield, thus affecting the road visibility. The grab handles are now placed on the A and B pillars, but we rather preferred the classical ones which are placed above the doors, as they are more practical. The center console isn’t cluttered and has a pretty clean layout, every control being placed within easy reach. The seats are big and comfortable offering good support and plenty adjustments to help you get cozy behind the steering wheel. To offer even more comfort the truck is also fitted with standard tilt steering wheel and optional power-adjustable pedals. 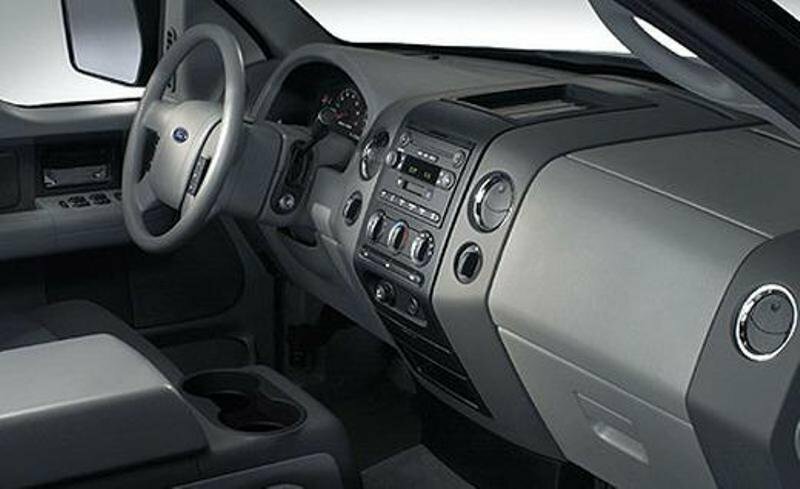 Moreover, apart from the optional power-sliding rear window, the Ford F-150 SuperCab is the first truck in the class to offer optional power windows for the rear doors. The all around visibility is nothing short of excellent as you seat pretty high from the ground and you are surrounded by a generous glass area. 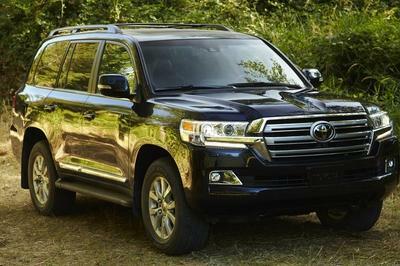 Unlike the previous model, the 2004 generation is no longer available with a V6 and the base engine is a 4.6 liter V8 which delivers 231 hp and 293 lb-ft of torque. There is also an improved version of the 5.4 liter Triton V8 unit with three valves per cylinder and 50 degrees of phasing on the overhead intake and exhaust camshafts. Thanks to these essential tweaks, the power was increased up to 300 hp at 5000 rpm with a peak torque of 365 lb-ft at 3,750 rpm. Though, despite the extra power, the 2004 Ford F-150 didn’t manage to come up with impressive performances and felt as sluggish as the previous model. There is no wonder why, as the new model was significantly heavier than the old one, so the extra power didn’t affect the performances in any way. The entire structure and suspension system of the 2004 Ford F-150 has been revised and the result was nothing short of excellent, the vehicle being able to offer a comfortable ride and to also carry massive loads without breaking a sweat. The Ford F-150 uses a classical ladder style frame which is better suited for utilitarian purposes. The vehicle was also fitted with fully boxed rails which replaced the old C-shaped cross section. Thanks to this upgrade the entire body is more resistant to torsion and this improvement can be felt in the superior driving dynamics which are part of the first class. The rack and pinion steering is also sharper than the old one and you can rely on it with confidence at both low and high speeds. 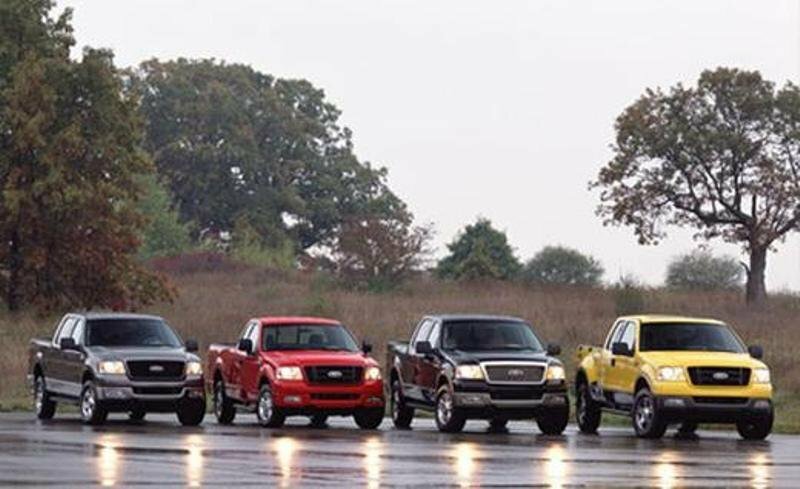 The 2004 Ford F-150 was a true work horse and there is no wonder why it was the segment’s best seller. The interior was very well done, with a strong build quality and a proper ergonomy. There were also a lot of features available, designed to make your life on board easier. The ride and handling were among the best in the class and the vehicle was also pretty reliable. 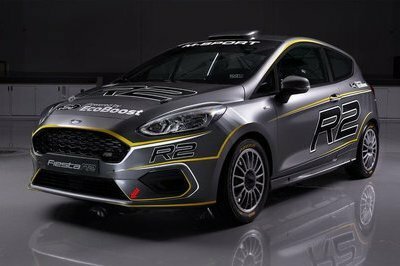 Its main faults were the engines that failed to offer the sporty performances expected from a Ford pickup.